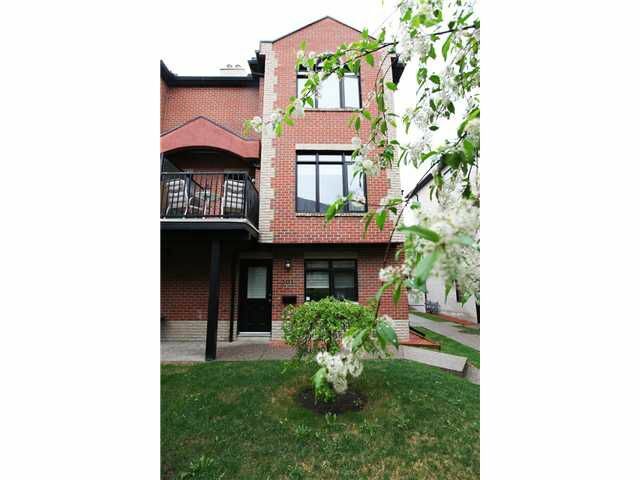 WELCOME to this 2 bedroom, 3 storey, BRICK BROWNSTONE, located in the heart of MARDALOOP! Walk through the WROUGHT IRON GATES into your SERENE Courtyard that leads you to your QUIET, END unit. TIMELESS inside & out, this Georgian Bay Development, Riverpark Manor, was a SAM Award winner and stands the test of time!From top to bottom it is an example of luxury LIVING with HARDWOOD FLOORS, GOURMET kitchen, GRANITE, STAINLESS STEEL appliances, gas FIREPLACE, cozy colors with extensive CROWN moldings. Being a corner unit, it also has EXTRA WINDOWS to provide NATURAL LIGHT all day long. The 3rd floor features the Master bedroom with VAULTED CEILINGS and a walk-in closet. A 5 piece bath has SEPARATE shower and LARGE SOAKER tub (with a the glass block window allowing tons of natural light!) A LARGE second bedroom AND a laundry room! (conveniently located on the floor where you get dressed!) All of this and within 1 1/2 blocks to the off-leash areas and SANDY BEACH!